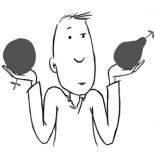 Join us for the official launch of Equality For Men…. 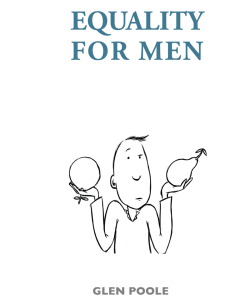 The equality4men campaign is giving an official launch to the new Equality For Men book by Glen Poole this International Men’s Day. Glen will be giving a talk about the book and hosting a questions and answers session at the launch, which will be held in Brighton on the evening of Tuesday 19th November. To mark the occasion we are printing a limited run of paperback copies of the Equality For Men book, which will be on sale exclusively at the launch. This is a ticketed event, which costs £5 in advance or £8 on the door. If you’d like to attend the launch and want to be sure to secure your place then you can buy your tickets online now here or email glen@equality4men.com if you want to reserve a place. This entry was posted on November 5, 2013 by equality4menuk in News and tagged book launch, equality for men book, Glen Poole.